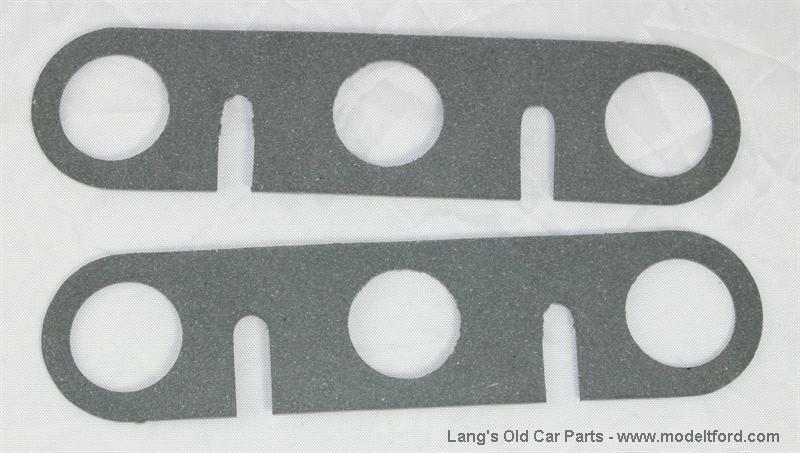 Flat one piece style gasket, set of 2. These are made of a material similar to the old asbestos. Recommended for bent manifolds. The one piece gasket will work well when the manifold and head ports do not line up. Helpful Hint: To check for a straight manifold, place a straight edge across the bottom edge of the 4 manifold holes. They should all be in alignment. If your manifold is warped (bent), the hole closest to the exhaust pack nut will be lower than the rest. Do you still use the glands with these gaskets? 30 out of 53 found this answer useful.